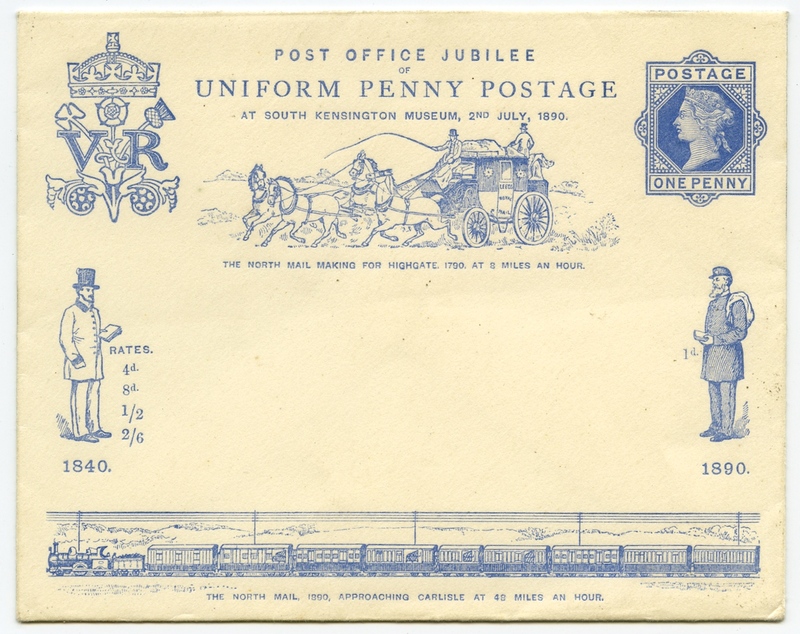 A mint example of the special envelope produced by the Post Office and sold by them at post offices throughout the country and at the special exhibition in Kensington on 2 July 1890 to celebrate 50 years of the Uniform Penny Post. The envelopes were prepaid one penny, the standard inland postage rate in 1890 and came with a special insert card for writing a message. The envelopes cost one shilling to purchase, with the profit going to the Rowland Hill Benevolent Fund which helped postmen and their families who found themselves in financial difficulties. Nearly 150,000 of these were sold, giving a tremendous boost to the fund.